I've had them for over a year. Gross, right? Nope. 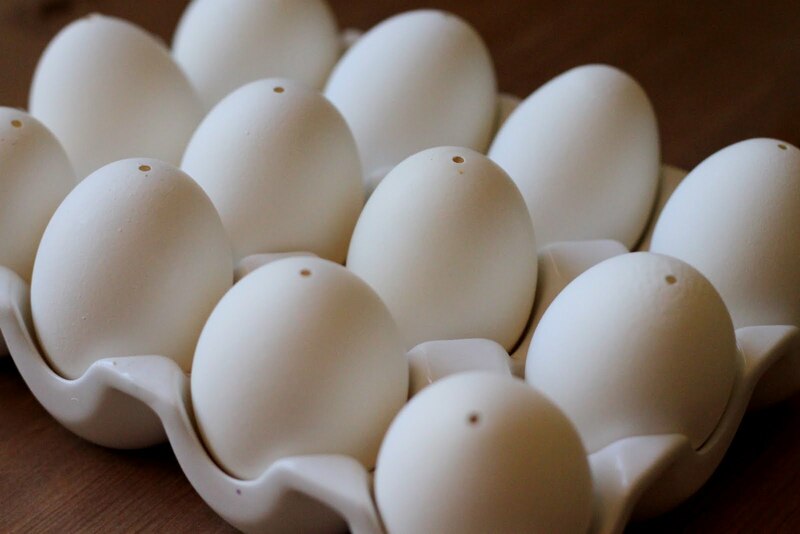 They're blown-out eggs -- eggshells. I've flipped the eggs over in the picture above so you can see the holes. So how does one blow out an egg? A lot of people use the two-hole method, where you poke a hole in each end of the egg and force the contents out with your mouth or with a bulb-like contraption. I prefer the one-hole method, because who wants two holes in your egg when you could just have one? 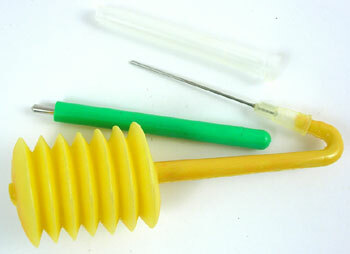 You poke a hole in the egg with the little green drill, and then you carefully force air into the hole with the yellow hand pump. The air creates pressure inside the egg, which forces the contents out the same hole. You can buy the egg blower here for $8.95. 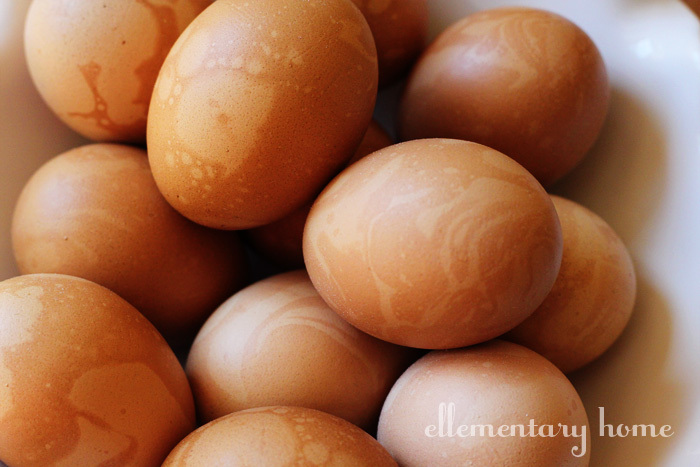 After rinsing and drying your eggs, you can get to work on your masterpieces. 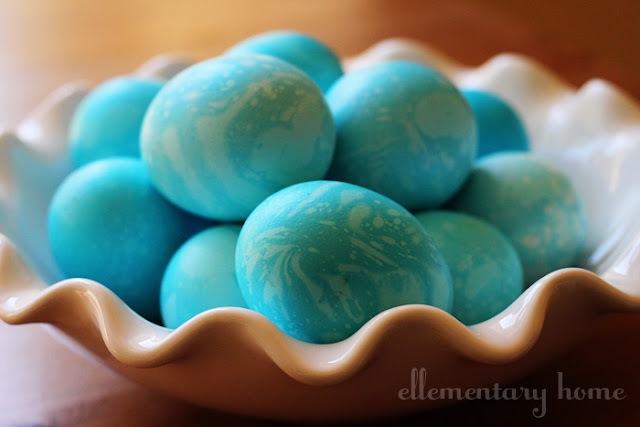 I learned how to get that lovely marble effect from the crafting diva herself, Martha Stewart. See her tutorial here. 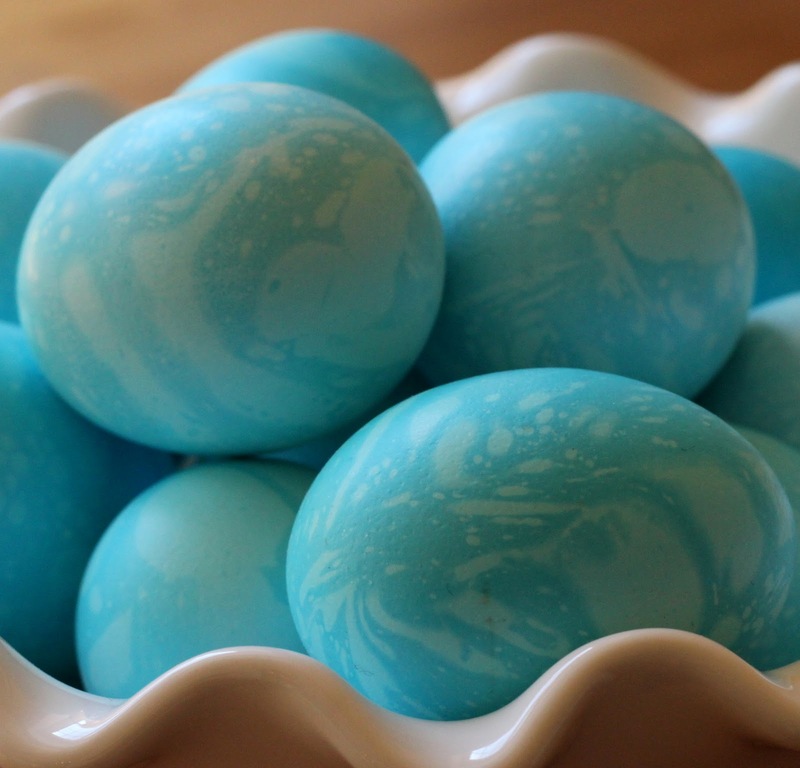 Basically you dye the egg all over with a "base coat," and then give it a quick roll in a bowl that has oil mixed in with the dye. The oil prevents the dye from sticking in parts, giving you a nice mottled appearance. I made these brown beauties using regular brown chicken eggs and layering on a darker layer of brown dye using the marbleizing technique. 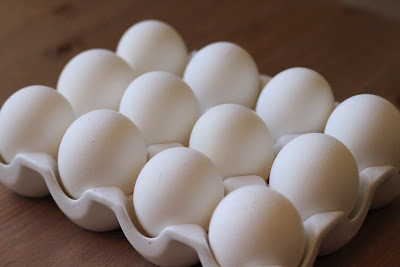 Of course, one of the nice things about blown-out eggs is that they're super lightweight. You can easily hang them on Easter trees. Just try doing that with a regular hard-boiled egg! Those little metal caps on the eggs are called findings. I hot-glued them over the holes on the eggs and tied gold embroidery floss on for hanging. You can buy findings at this site (24 findings for under $4.00). They even have findings sized for goose eggs. God bless the Internet! I don't have an Easter tree this year; the 17-month-old would find it too irresistible, and I don't have a good place to keep it out of his reach. But a bowl of these on an up-out-of-the way table is a nice, understated Easter decoration. And the best part? I don't have to worry about them spoiling, and I can enjoy them again next year. This is fantastic! 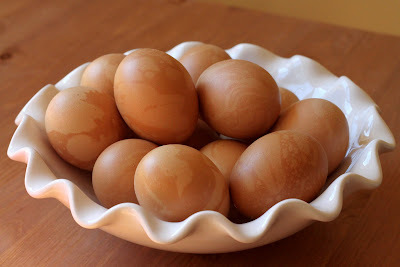 I've always wanted to try the blown-out eggs but never had the chance and never liked the idea of two holes! Thanks for sharing! 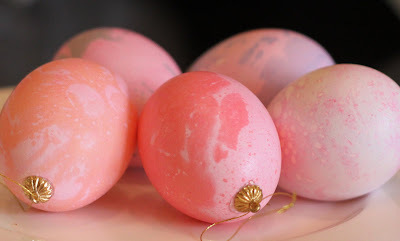 I love marbleized Easter eggs and have always wanted to try it. Thanks for the step-by-step... might just try it! Beautiful! I attempted the oil last year and did not have as good of luck as you! Would love for you to share over at Calling All Crafters!